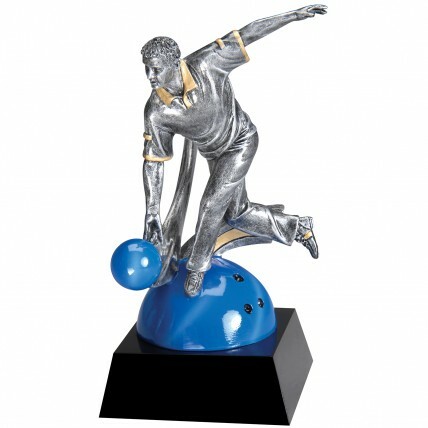 Use this great resin award to recognize your best bowlers! The Follow Thru Male Bowling Award features an antique silver and gold bowler in full bowling action standing atop a blue marbled ball. A black base provides a sturdy foundation and is the perfect place to feature your 3 lines of free and personalized engraving!